WASHINGTON (CNS) — Most people who tackle Spain’s famous 500-mile “Camino,” whether in whole or in part, do so at an unhurried pace. Not so for Nevadan Jeff Rauenhorst. Rauenhorst, 39, planned to run the meandering route from Saint-Jean-Pied-de-Port, France, to Santiago de Compostela, Spain, beginning May 29. He told Catholic News Service that he wants to raise awareness of the Catholic Climate Covenant’s Catholic Energies program and environmental concerns overall, while continuing a spiritual journey that is leading him to more deeply connect with his Catholic faith and understand God’s call in his life. Rauenhorst expects he will complete the arduous trek in 17 to 19 days. He’s seeking sponsors for the excursion, asking people to donate from 1 cent to $1, or more, for each mile he runs. He planned to blog about his experiences at www.catholicclimatecovenant.org/el-camino-run. The website also will accept financial pledges. The goal: $60,000. As an ultrarunner — someone who covers at least 50 kilometers, or about 31 miles in a single outing — Rauenhorst understands the mental and physical challenges ahead. “It’s a journey with my faith and with God. I’ve got to put my trust in him,” said the member of St. Francis of Assisi Parish in Incline Village, Nevada, north of Lake Tahoe. 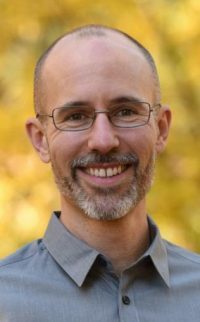 For Rauenhorst, the effort allows him to take advantage of his professional background in energy management for the benefit of the church’s call to care for creation. Until recently, Rauenhorst was a vice president of Vigilent, an energy management firm in Oakland, California. In April the University of Notre Dame graduate started his own consulting business. He also serves as an adviser to Catholic Energies. The Catholic Climate Covenant initiative works with parishes, schools, hospitals and institutions to reduce energy consumption and costs. The journey to the Camino began with a papal audience in April 2017. The audience with Pope Francis came through the Papal Foundation, to which Rauenhorst’s parents belong. His wife of 15 years and two school-age children were alongside. Upon meeting Pope Francis, a feeling of peace enveloped Rauenhorst. “His presence filled me in a way that I never really understand,” he said. At home in Nevada a few weeks later, Rauenhorst began seeing Mass and his faith differently and having a great awareness of God in his life. “Right before Communion, when the priest was holding up the consecrated host, I had this overwhelming sense of emotion, almost to the sense of crying,” Rauenhorst told CNS. “I didn’t understand what was going on. In good traditional fashion, I ignored it. “The next Sunday, the same thing happened, but during the Our Father. It was like I was hearing the words for the first time. I guess I had what most people would call a conversion experience. Rauenhorst connected with the climate covenant soon after returning from Rome through his aunt, Amy Goldman, chief executive officer and chair of the Minneapolis-based GHR Foundation, which focuses on health, education and global development. As he develops his consulting business, Rauenhorst wants to spend “half time with corporate energy clients and half time with the Catholic Church.” The new arrangement will allow him to spend more time with family as well. Plans call for Rauenhorst to be greeted by his wife and children, ages 8 and 11, for the last couple of miles of the Camino. Wow what an adventure!! Best of luck and stay strong, safe & healthy!